In fact, if you blast off in a rocket and zoom through a wormhole to the other side of universe, guess who would be waiting for you when you arrive? God. He is everywhere, and there is no place we can go where God isn’t present. You are all around me, behind me and in front of me. You hold me safe in your hand . . .
How can I get away from your Spirit? Where can I go to escape from you? If I lie down in the deepest parts of the earth, you are also there. Suppose I were to rise with the sun in the east. Suppose I travel to the west where it sinks into the ocean. Your hand would always be there to guide me. Your right hand would still be holding me close. Wherever you go, God is already there, and he wants to help you. If you’re going to the dentist, and you’re a little nervous, just relax. God is there with you. If you’re at a sleepover and you feel homesick, it’s okay. God is there with you too. If you have to go to brand new school or move to a new town or get separated from your parents in a store, you’re not alone there either. God is with you, and he will help you. No matter where you go or what you go through, God is close to you. He is walking with you, and you never have to be afraid or worried again. God, I am so glad you are everywhere. Help me to remember you are always with me. Amen. If you could hide anywhere on the planet when playing hide-and-go-seek, where would you hide? When or where have you ever felt lonely or scared? God is everywhere, but where do you need God to be with you the most this week? This world can be a lonely place sometimes, but even when we feel like we’re alone, we can take comfort in the fact that God is always with us. Some days we feel God’s presence. Other days we don’t. But our feelings don’t change the facts. God is always present in every good and bad situation in our lives. Don’t miss a devotion. 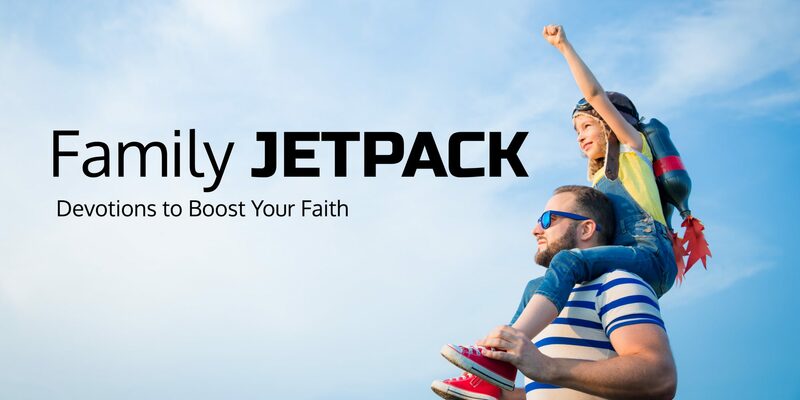 Sign up to receive Family Jetpack devotions sent straight to your inbox.